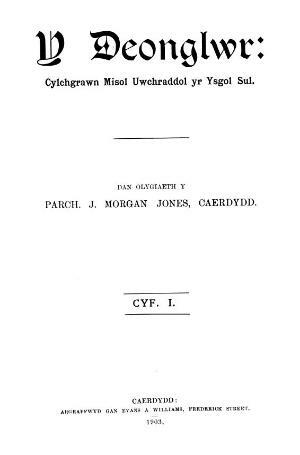 A monthly Welsh language religious periodical intended for the Sunday schools. The periodical's main contents were articles on religion, Sunday school lessons, biographies, music and reviews. The periodical was edited by John Morgan Jones (1838-1921) between 1903 and 1907, by someone who used the false name Tomas Aquinas from 1908 until 1909, by D. M. Phillips during 1910, and subsequently by D. M. Phillips and David Evans.